Mr. Poulos is a veteran pharmaceutical executive who spent more than 38 years with Abbott and AbbVie. Mr. Poulos most recently served as Vice President, Head of Business Development and Acquisitions for AbbVie. 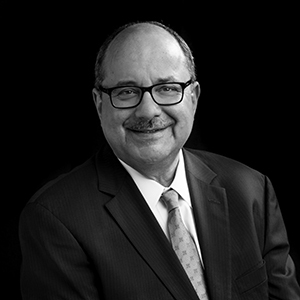 His career spanned executive roles in finance, general management, licensing, business development, and acquisitions, including time spent serving as General Manager of Abbott’s Middle East, Africa, and Turkey business. For the last twenty years, Mr. Poulos led teams in business development and acquisitions. During his career, he was instrumental in the execution of numerous acquisitions including Knoll/BASF Pharma in 2001 for $6.9 billion, which led to the development and launch of Humira, Solvay SA’s pharmaceutical arm in 2010 for $6.2 billion, and Pharmacyclics in 2015 for $21.0 billion. Mr. Poulos currently serves on the board of Faron Pharmaceuticals. He holds a Bachelor of Science and a Master in Business Administration from Indiana University.